This Exhibition represents the first comprehensive look at the poetic sculpture of this remarkable artist. Inspired and heavily influenced by the Northwest coast’s atmospheric and geographical features—emerald green vegetation, majestic mountains, Payne’s grey skies and water, craggy islands and trees shrouded in fog—Michael Peterson has left an indelible mark on his craft through his distinctive interpretation of these temperamental surroundings, and this groundbreaking exhibition follows the unique artistic trajectory of his work over the past twenty years. 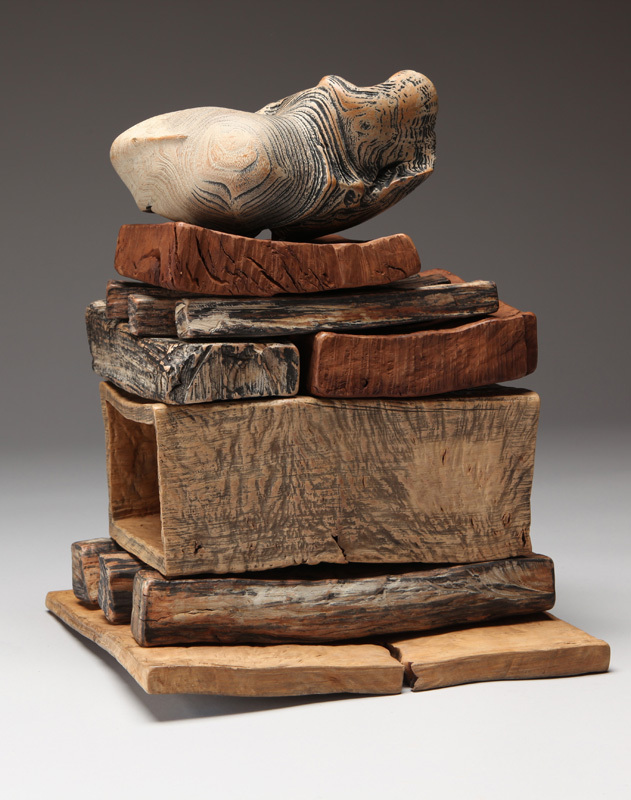 Throughout his oeuvre, Peterson has centered on the spiritual universe, interpreting it in the visible components of the natural world, whether these be mountain formations, valleys, canyon walls, craters, mesas, rocks, driftwood, or living things. 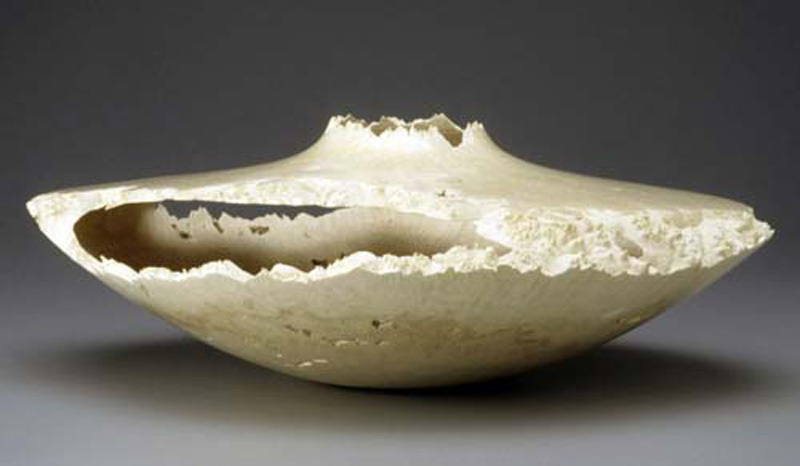 This exhibition traces the evolution of Peterson’s early works, whose outcomes were heavily dictated by the lathe—the mechanical tool woodturners typically use to produce symmetrically shaped objects, either for decorative or functional uses—to the most current works that illustrate his gradual yet radical departure into the realm of fully sculptural forms realized through his increasing mastery of the chainsaw—a revolution for Peterson. 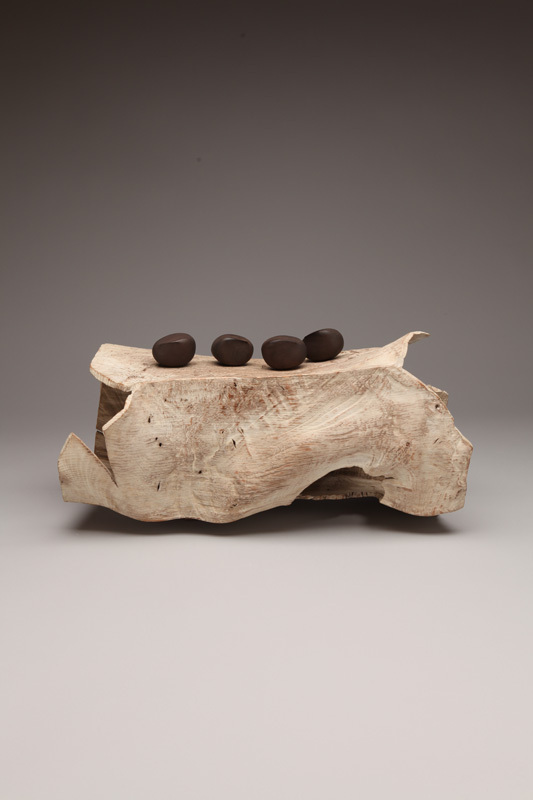 We honor his intimate observation of a range of organic abstract forms that may call to mind birds, stones, driftwood, and landscapes—all elements referring to the natural, physical realm—while quietly emanating a deep sense of spirituality. In his studio and home on isolated Lopez Island—one of Washington State’s San Juan Islands—Peterson lives a solitary life dedicated to his work, content to explore a slower universe of his own preoccupations far from the influence of the fast-paced world around him. Working primarily outdoors, without even a tarp to shield him in inclement weather, Peterson’s eyes touch the core, the essence of things they investigate, yet never imitate. His sculptures are the result of a pared-down and unhurried cerebral narration, exploring the subtle equations of form, color, tonality, texture, material, light and shadow, solid and void, composition and balance. Peterson’s practices of meticulous meditation and painstaking concentration allow his work to speak directly to us, engaging our sensibilities and revealing emotions and meanings previously hidden—or ones that have escaped our attention. The unity and simplicity of the sculptural forms he creates permit them to serve as compelling visual metaphors for the essential order and clarity desirable in a balanced life. 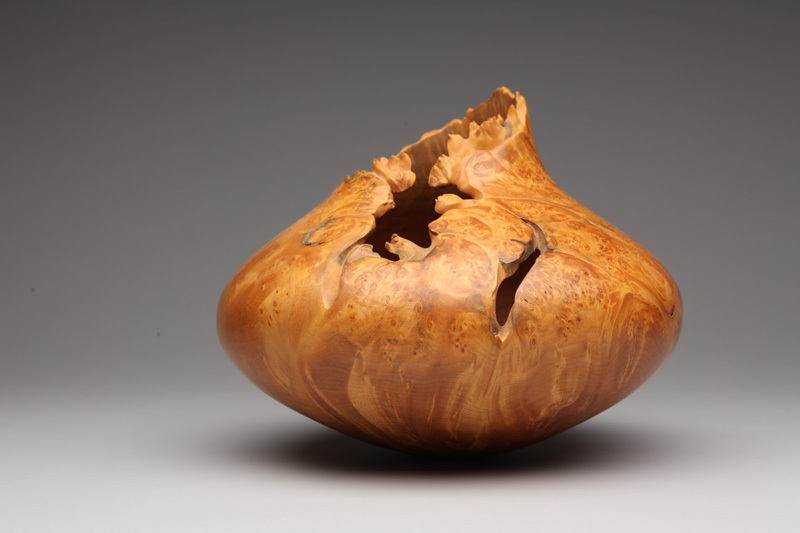 The powerful, sensual qualities of wood give his sculptures an imposing presence; these are studies of organic growth graced by classical proportion, harmony, and above all, beauty. Peterson’s work evokes the timeless cycles of birth, growth, and wearing away; his work invites us to pause and contemplate moments that symbolize our deep yearning to be one with the forces that touch us all and reflect our human longing to know our place within the grand scheme of creation. Michael Peterson: Evolution│Revolution is organized by Bellevue Arts Museum. The exhibition has been made possible by the generous support of The Windgate Charitable Foundation. Additional support has been provided by the Institute of Museum and Library Services. Co-curated by Michael Monroe and Stefano Catalani.